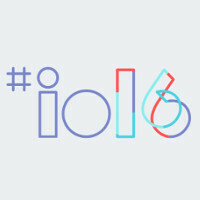 While no new Nexus device was announced at Google I/O 2016, nor was a new Android version unveiled, the developers-centric event still offered a number of surprises, and a whole lot of new products, services, and features. Off the top of our heads, there are the two new Google apps, Allo and Duo, the natural next step for Google Now in Google Assistant, the Google Home overmind for your living room, the Instant Apps project, multitasking in Android N, Android Wear 2.0, and even a new VR playform in Daydream. That's quite the list, and it's not even all-inclusive! Naturally, with so many new goodies on their way to the market, we had to wonder which one piqued the interest of our loyal readership (that's you) and got them most pumped up about Android. So we asked. With a share of nearly 24% of the votes, Instant Apps have managed to capture the attention we feel they ought to, and rank first. Following closely behind (21%) is Android new-found, but not yet released, ability to juggle multiple apps side-by-side. Google Assistant along with the Allo messaging app ranked third and fourth, respectively. Unsurprisingly given its obscurity, Android TV's upcoming picture-in-picture feature ended up with less than 2% of the total votes. Facetime and imessages are Apple exclusive. Not everyone has a Samsung. Easier for developers to use multitask API's since they are implemented by Google, not just Samsung (or others for that matter). More multitask options like PiP and Freeform mode, especially the latter is a nice add-on for bigger tablets and/or Android based desktops. Its will also make dev want to make more app compatible fully with it. Instant apps sounds like great way to compromise a device. Not having the system blocking someone from login in after a few attempt is a great way to compromise cloud service. Still its part of life right? Lets see if they will secure it right before speaking. Instant apps will only work with apps that are in the playstore ,it will stream from Google not the website.